Gurudwara Pathar Sahib is located on the Leh-Kargil highway just 25 KMs outside of Leh. Gurudwara Pathar Sahib is located at the places where Guru Nanak Ji, the founder of Sikhism and their first guru, is believed to have defeated a demon. According to the legend, demon threw a large boulder at the Guru Nanak, while he was meditating at the base of the hill. 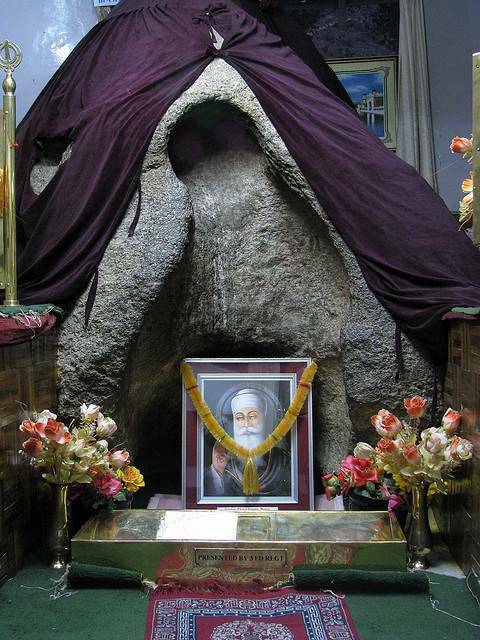 However, the boulder turned into soft wax and failed to hurt the Sikh guru. On seeing this, the demon begged Guru Nanak Ji for his forgiveness. Gurudwara Pathar Sahib is maintained today by the Indian Army and it’s customary for tourist to stop and pay obeisance at the temple.